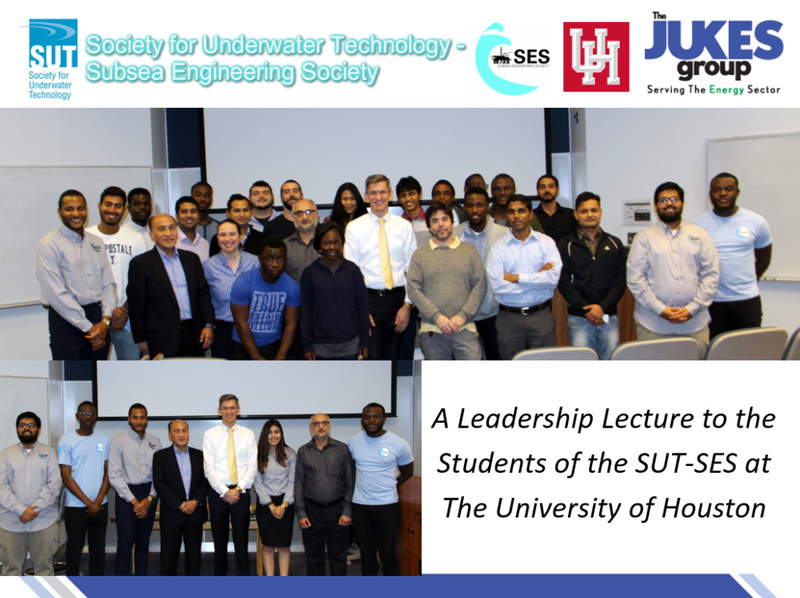 The Jukes Group gave a Leadership lecture to Subsea students of the SUT-SES at the University of Houston earlier this week. The main aim was to inform, and inspire, the next generation of Subsea Engineers about the importance of modern day Leadership. The informative presentation covered themes such as ‘Factors for Success’, ‘Important Aspects of Leadership’, ‘Importance of Goal Setting’, and ‘Tools for Success’. The lecture was well attended and thoroughly enjoyed by all!